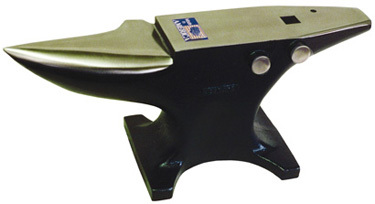 This anvil is designed & built for heavier work such as draft horses, warmbloods, and more blacksmith work. The extra wide 4 3/4" x 14" flat work face also has a tapered heel with rounded edges. Turning cams on the side of the anvil are another innovation designed to make your job easier.